ARVADA, Colo. (CN) – By dawn on Saturday, Sept. 15, a dozen cars were parked at the newly opened Rocky Flats Wildlife Refuge and at least as many hikers wandered down trails surrounding the site of a former-nuclear weapons factory near Arvada, Colorado. This past May, environmental groups sued the U.S. Fish and Wildlife Service in an effort to stop the refuge from opening to the public, citing concerns about the lack of recent environmental assessment given the site’s radioactive history. From 1952 to 1992, the Rocky Flats Plant produced an estimated 70,000 plutonium pits, the device responsible for detonating nuclear bombs. The plant closed after an FBI raid discovered mishandling of radioactive materials and the U.S. Environmental Protection Agency declared it a Superfund site. 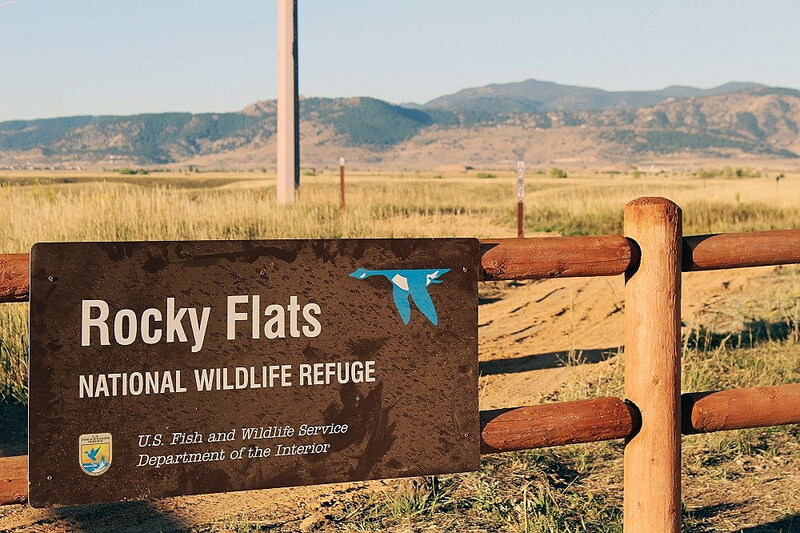 In 2001, Congress passed the Rocky Flats National Wildlife Refuge Act and allocated $7.7 billion over a decade to clean up the area with plans to open it to the public. The 1,300-acre core of the refuge where the actual manufacturing took place has been designated a legacy site by the Department of Energy and will be closed indefinitely. But 11 miles of trails encircle the buffer zone, connecting the Rocky Mountain Arsenal National Wildlife Refuge northeast of Denver with the Rocky Mountain National Park just west of Boulder. 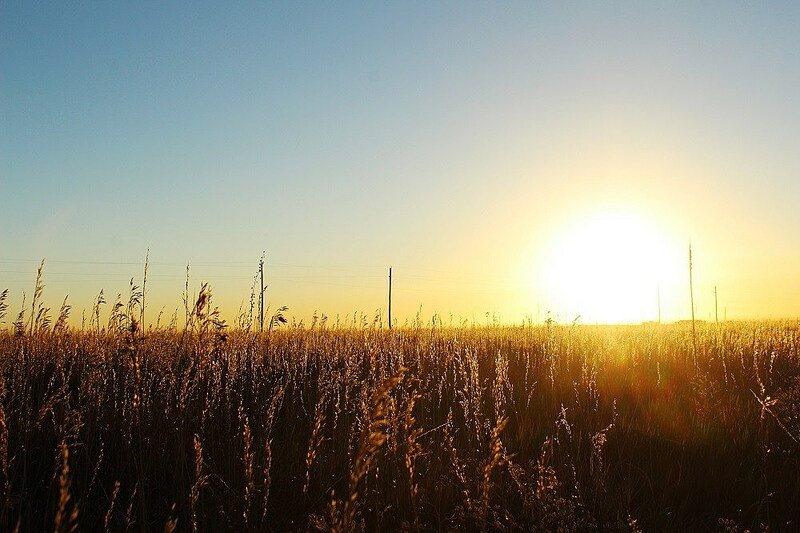 Literature circulated by the Fish and Wildlife Service highlight 630 plant and wildflower species as well as 239 animal species that call the site home, including prairie falcons, deer, elk, coyotes, songbirds, and Preble’s meadow jumping mouse. Whether you find Fish and Wildlife’s statistics reassuring is an individual risk assessment. “A lot of people they have a very hard time understanding and evaluating risk,” said David Abelson, executive director of the Rocky Flats Stewardship Council. “That goes to everything from people driving while looking at their cellphones to people riding motorcycles without helmets. “That’s a component that falls into these types of questions of hazardous waste and nuclear waste as well, there’s the calculated risk and there’s the degree to which people then make their own assessments of what that risk really means,” Abelson said, adding the bulk of his council’s oversight focuses on surface and groundwater testing being conducting at the site’s core. Still he recognizes concerns voiced by members of the public. While a handful of day-hikers ventured down the Rocky Flats path, 30 concerned locals protested outside EPA Region 8’s office in bustling downtown Denver. Founding members of the Rocky Mountain Peace & Justice Center joined college students, academics and a Marine assigned to clean up the site. As a group exercise, gatherers called out the things they were worried about, including lawsuits, danger, public health, prioritizing health over profits, all the people who have already died, lying, lack of signage, and political who-knows-what. Gabrieloff-Parish noted Fish and Wildlife’s attorneys said in court the agency relied on the EPA’s reports to determine the safety of the site. “Fish and Wildlife’s reaction was ‘the EPA said it was safe.’ It seemed like we should have sued the EPA,” she said. In its lawsuit, the Rocky Mountain Peace & Justice Center accuses Fish and Wildlife of endangering the public by opening land contaminated by plutonium without completing an updated environmental impact statement weighing the risks to public safety. In August, U.S. District Judge Philip Brimmer refused to preliminarily block the opening of the refuge but promised a speedy trial. In his 18-page opinion, Brimmer noted the last assessment completed in 2004 found trace amounts of plutonium, and he was unmoved by the plaintiffs’ claim that no plutonium is safe plutonium. For a moment on Sept. 14, it seemed the activists had made headway through political channels when Fish and Wildlife said Interior Secretary Ryan Zinke ordered the opening of the refuge delayed pending review by his deputy secretary. Less than two hours later, however, the department said the deputy secretary had “reviewed the refuge and determined it will open tomorrow as scheduled.” It opened at sunup on Sept. 15. The refuge is open daily, but whether it remains open will be decided in Brimmer’s courtroom. A trial date has not been set, though plaintiffs filed their opening brief in August and defendants have already responded.